Team building activity, The Random Bowl Of Ridiculous Questions. More Taipei Street Food that I've tried during other visits to Taipei, Taiwan, continuing from Part 1. Spent about NTD $10838 / SGD $490 per person. 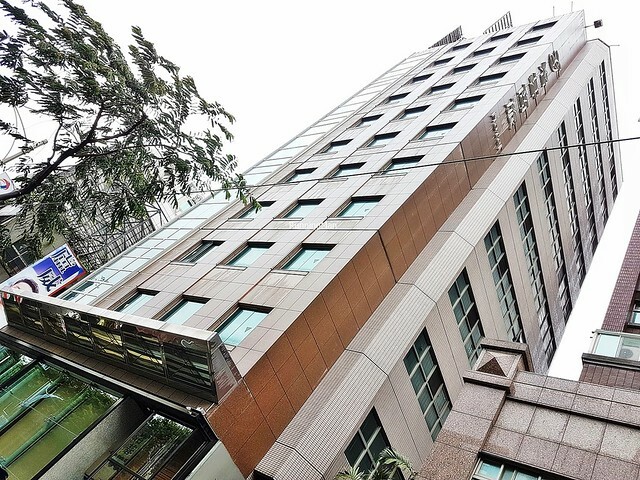 Located about 40 minutes drive away from the Taoyuan International Airport in Taipei, Green World Hotel Jian Pei Suites is an elegant business hotel in the city centre, within 10 minutes walk from Songjiang Nanjing metro station, and close to several offices. Part of the Green World chain of hotels, Green World Hotel Jian Pei Suites does fall short on service, though everything else met my expectations. 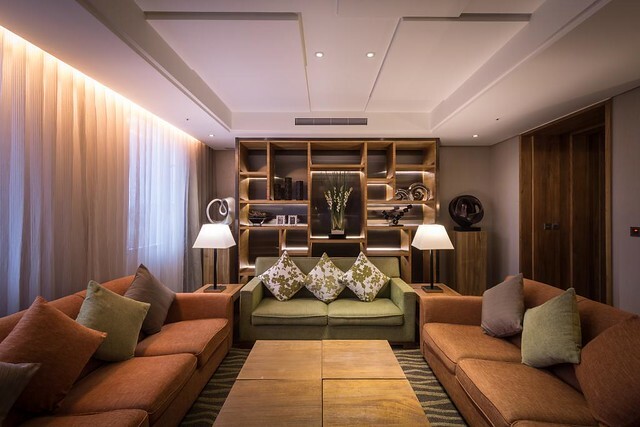 Ambience at Green World Hotel Jian Pei Suites exudes a quiet elegance. The shades of leaf green, dark brown, black, silver, and pearl white appear sophisticated across the plush furnishings, decorative lighting, high ceiling, and marble floor. The place appears non-descript from the outside, which I guess suits business travellers just fine. Don't expect families to stay here though. 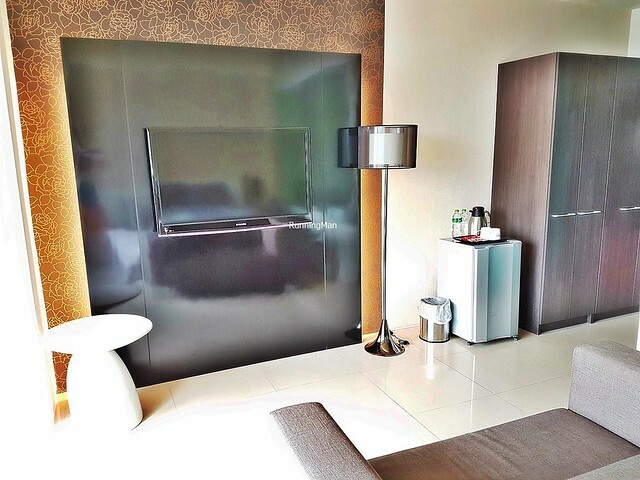 Rooms at Green World Hotel Jian Pei Suites are comfortable and cozy. 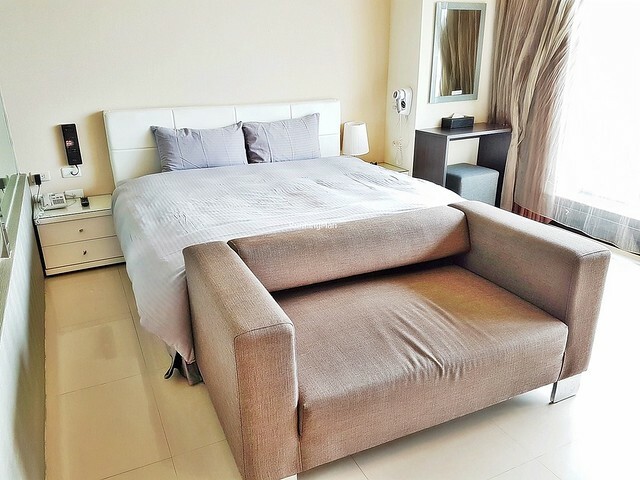 The queen size bed is soft and plush, while the room has ample space for a working desk, recliner, benches, pantry area, and wardrobe. 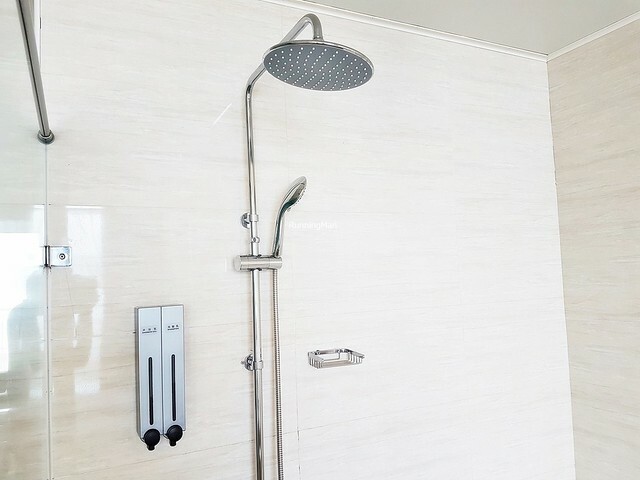 The bathroom is clean, equipped with 2 different showers and a bath tub, and well stocked with amenities. I also like that they have international multi-plug power sockets in the room. Food at Green World Hotel Jian Pei Suites is slightly above average in quality. Served at the Lobby Restaurant, the range of dishes is limited, but with a good mix of international and local dishes. Decently tasty. However, there is no room service, nor any ala-carte menu throughout the day. 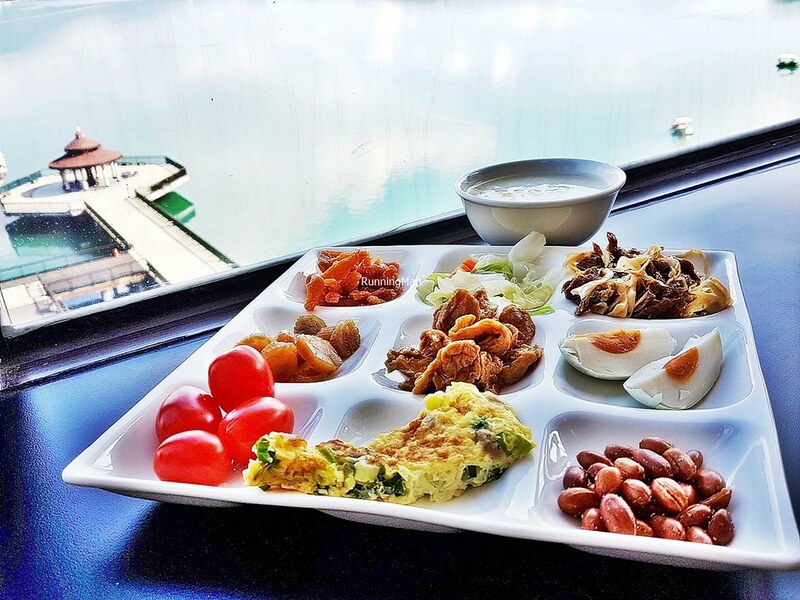 Only breakfast is served, but at least everything is freshly prepared. You'll have to present a coupon (given upon check-in) to dine here. 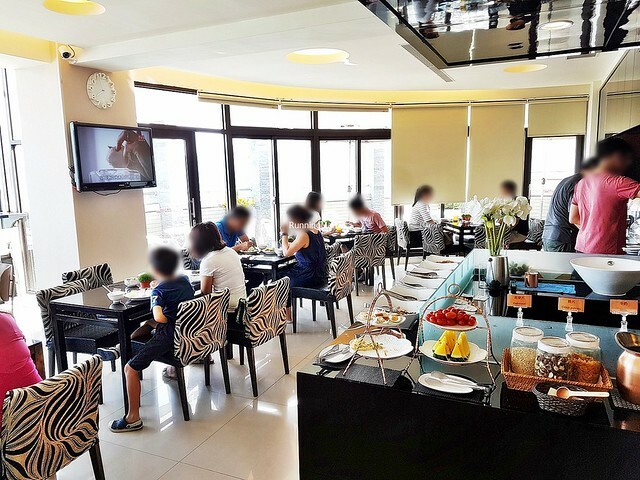 Service at Green World Hotel Jian Pei Suites is below average. There seems to be an expectation of self-service here. 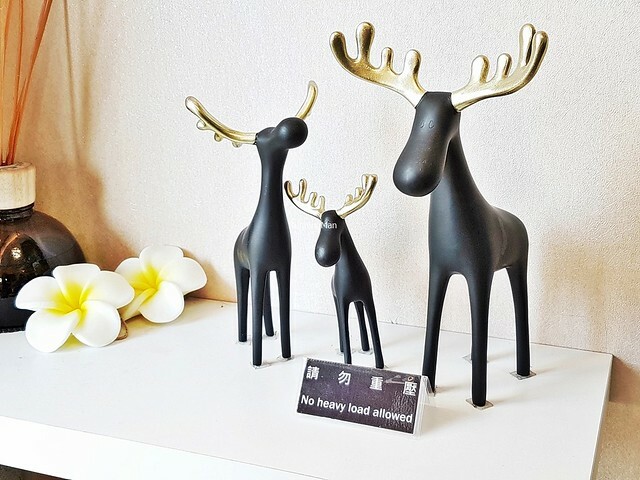 Staff are friendly, but will ask guests to perform tasks themselves, such as collection of items from the lobby, instead of delivering it to the room. 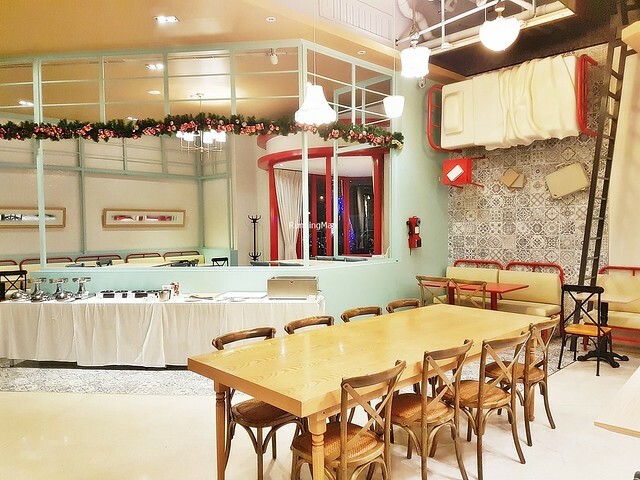 The restaurant staff adhere to meal timings; once the time is reached, they will politely request diners to leave the restaurant. 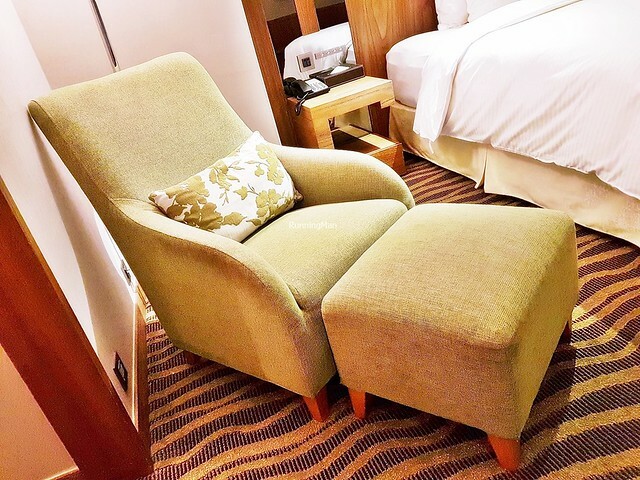 The facilities and activities at Green World Hotel Jian Pei Suites are business oriented but decent. 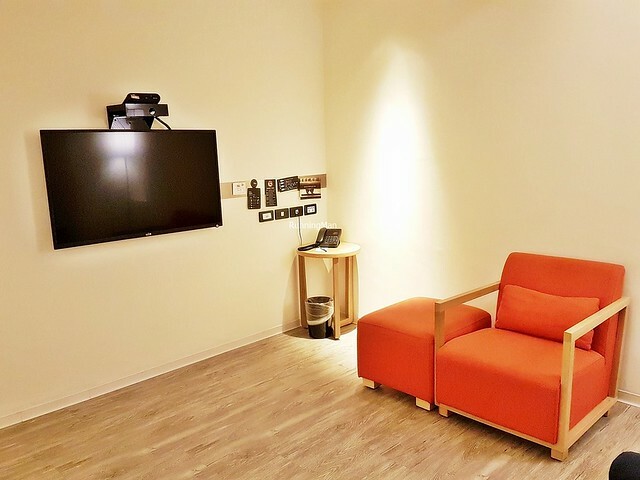 The business centre and conference rooms are decently maintained and equipped, though not openly accessible unless booked. The wifi throughout the hotel is fast and stable. 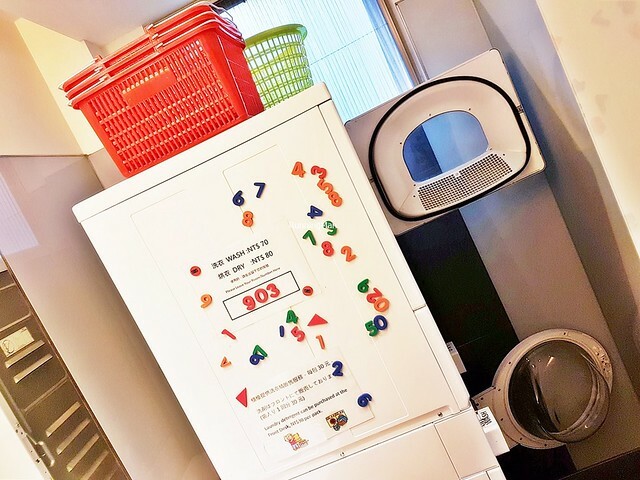 There are 2 options for laundry, either the paid laundry service, or the self-service option at the laundromat. 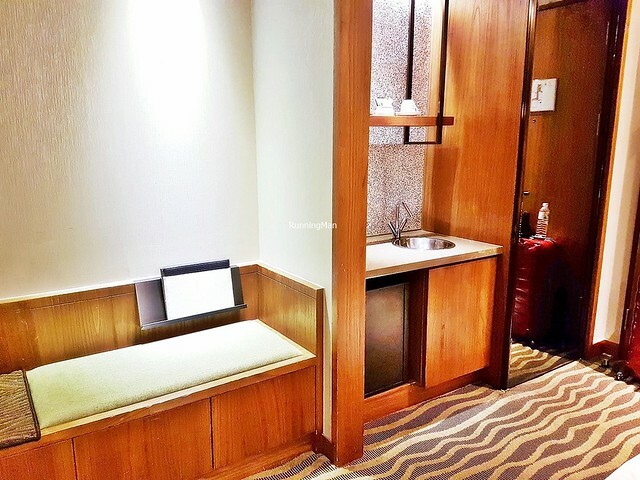 Overall, I would return to Green World Hotel Jian Pei Suites for the convenience, but not the service. May your homes be filled with happiness and joy this Hari Raya Puasa. The mountainous range around Nantou in Taiwan / Republic of China make it a popular tourist destination, thanks to its ample natural flora and fauna. The only county without a coastline, the towns in Nantou are famed for 4 things starting with the letter 'W'; water, wine, women, and weather. 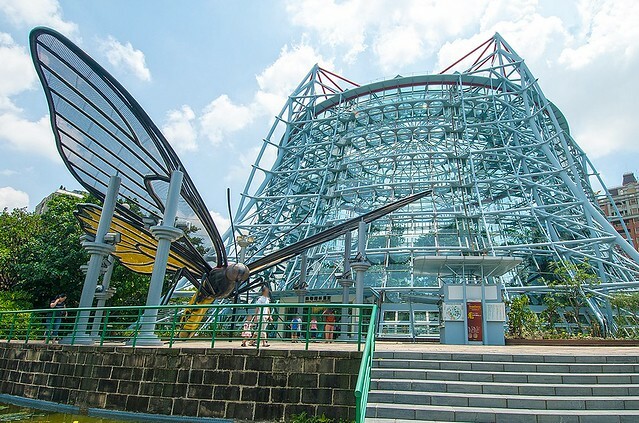 Here are the Top 5 Tourist Attractions to visit in Nantou, all of which hold important cultural or historical significance. All these are permanent locations which can be visited and viewed at any time throughout the year. 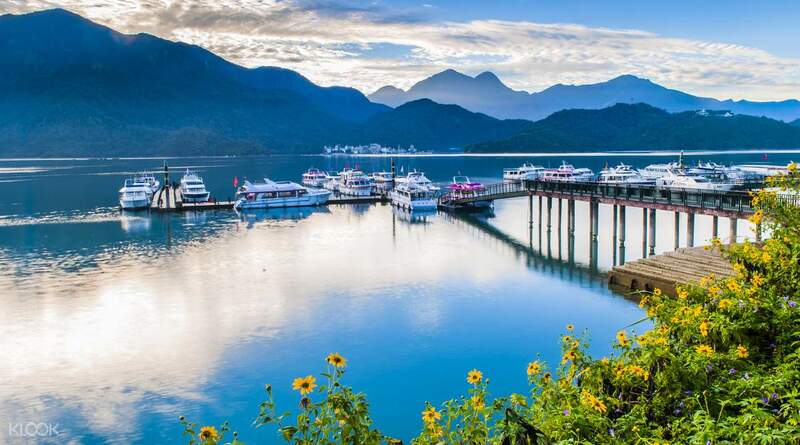 Arguably the most well-known area in Nantou, Sun Moon Lake is so named because the east side of the lake resembles the sun in shape, while the west side of the lake resembles the moon in shape. The only natural big lake in Taiwan, the picturesque location has clear turquoise waters framed by a stunning mountainous backdrop. Popular things to do here include cycling, taking the shuttle boat around the lake, or riding the cable car to the Formosa Aboriginal Culture Village. 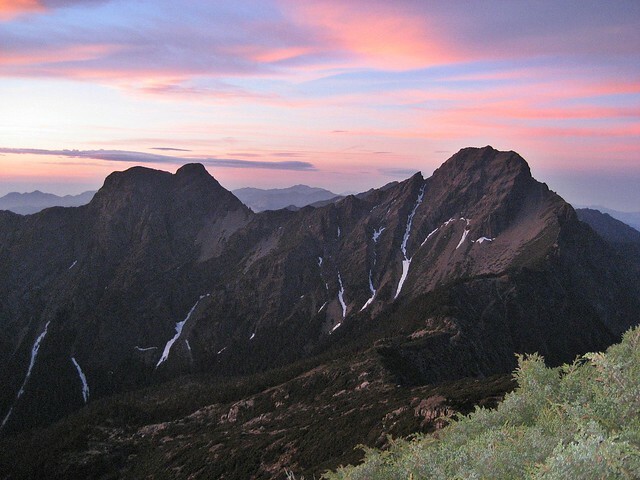 Named after the highest peak of the mountain range within the area, the Yushan National Park in Nantou is a popular hiking, climbing, and scenic spot. Locals in Taiwan include climbing to the peak amongst their bucket list, and no wonder, as the scenic views are breathtaking. The rich flora and fauna here make for interesting hikes through mountain trails or forest walks, offering panoramic views of waterfalls, sunrises, sunsets, geological features, and views of the clouds. If the wilderness is not for you, it's still possible to enjoy the natural scenery in the area from nearby towns such as Xinyi. 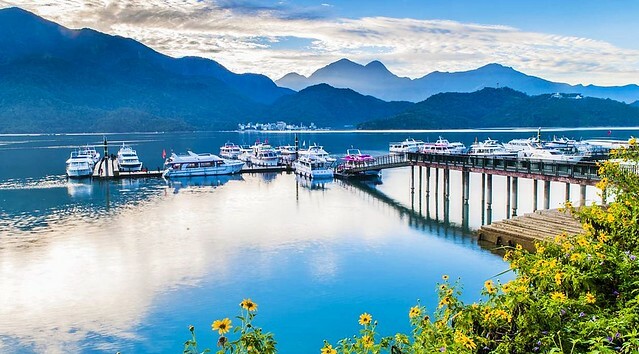 The Shanlinxi / Sun Link Sea Forest Recreation Area within Nantou is known for its scenic, tranquil forests, and 5 beautiful waterfalls, of which the picturesque 116-meter Qingyun Waterfall and the ferocious roaring Chinglong Waterfall are the most famous. A variety of flowers bloom all year round, while in autumn, the area takes on dazzling palettes of colour. 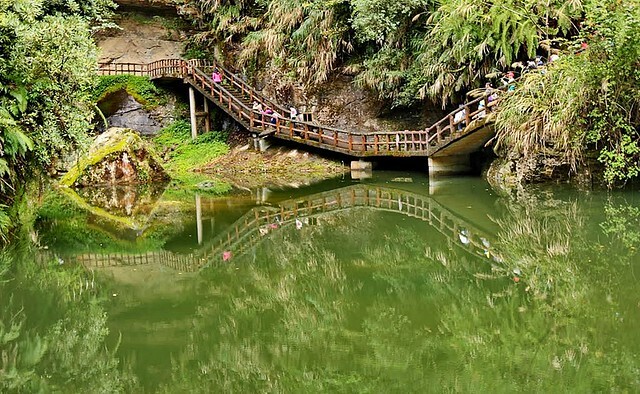 Relaxing walks take you past several natural sights, including the unique geological Heaven And Earth Eyes, the 1,000 year old Ancient Taiwan Red Cypress Trees, the iconic 99 Suspension Bridge, and the river potholes of Shyrjing Ji. Originally designed by Japanese architect Shigeru Ban for use as a temporary church, the Paper Dome was reconstructed in Nantou, Taiwan, as a permanent installation. From the columns to the benches, the place is a giant paper and cardboard structure, supported by a total of 58 cylindrical paper tubes, each 5 meters in height. The diameter per tube is 33 centimeters, with the thickness of the paper being 1.5 centimeters. Built in a nomadic style, the surfaces are protected by weather-proof translucent plastic. The surrounding landscaped gardens lend a natural and tranquil beauty to the place, while at night, the glowing lights exude an ethereal feel. 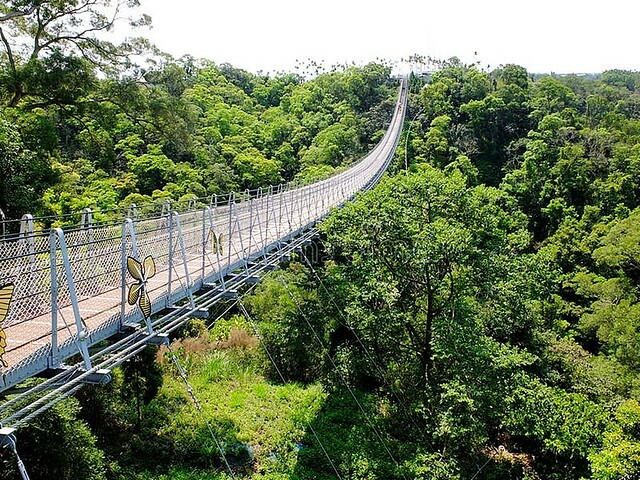 As the longest ladder suspension bridge in Taiwan, at 204-meters long with 262 steps, the Houtanjing Sky Bridge offers stunning views overlooking the Changhua plains. Also known as the Nantou Sky Bridge, it is suspended 70 meters above the ground, and is beautifully lit by colourful LED lights at night. A viewing tower allows you to ascend to even greater height. Naturally, views are better on days with clear weather. Annually, a religious procession is held here, where devotees cross the bridge in a symbolic manner. 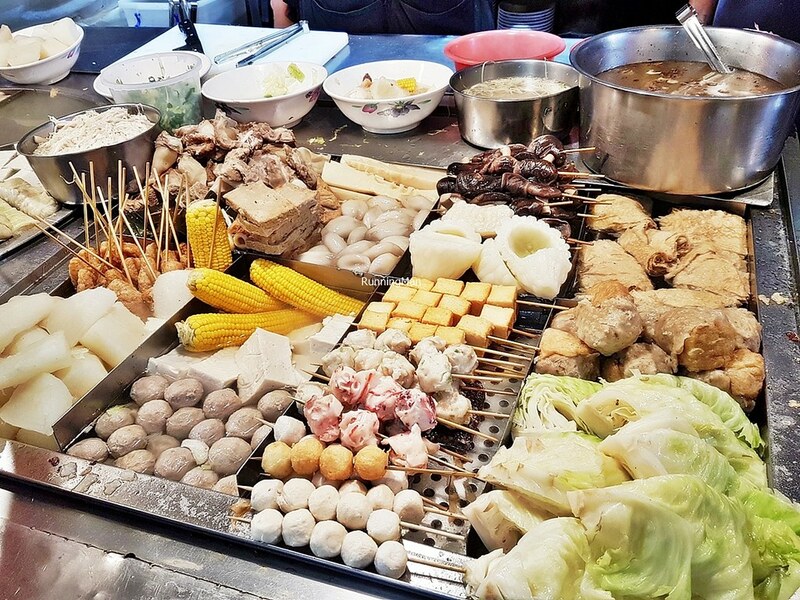 Nantou Street Food shares much of its ingredients, characteristics, and flavour with the majority of Taiwan, with some distinct differences. As an agricultural state famed for its farmlands and mountains, Nantou cuisine uses a lot of fresh ingredients in their dishes, which are often simply prepared and straightforward, with light sauces. Besides heavy influence from South Chinese cuisine, there is also influence from the Aboriginal cuisines of Taiwan. Spent about NTD $3060 / SGD $140 per person. 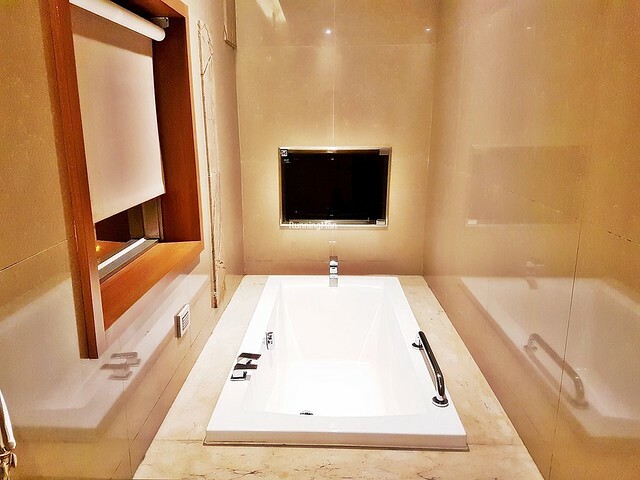 Located about 90 minutes drive away from the Taichung International Airport / Ching Chuan Kang Airport, Hu Yue Lakeview Hotel (湖悦景観旅店) in Nantou County is a short-stay leisure hotel, meant for guests to sightsee the Sun Moon Lake area. 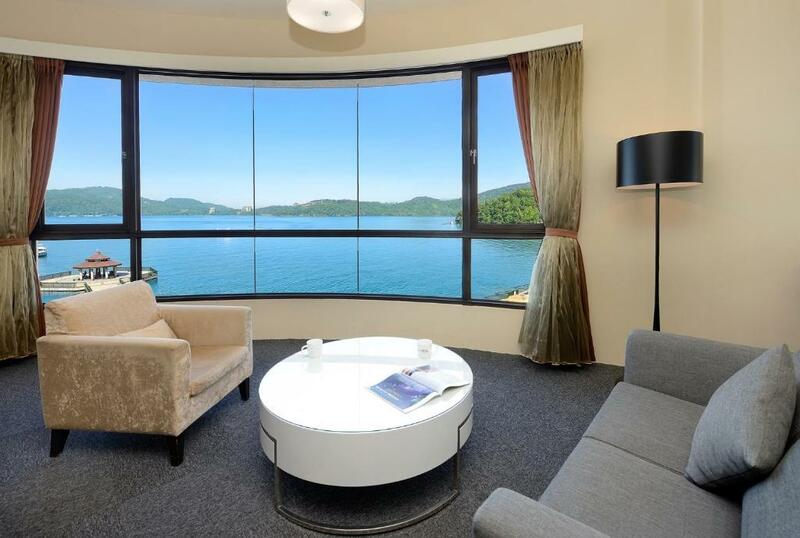 Offering beautiful views of Sun Moon Lake from its waterfront location, Hu Yue Lakeview Hotel has comfortable and spacious rooms, but little else going for it. 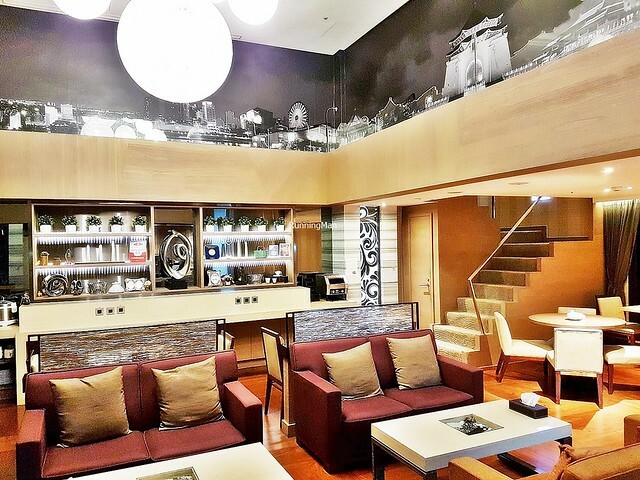 Ambience at Hu Yue Lakeview Hotel is plain and simple, with only a few small touches of decorative lighting and artwork in the lobby. Otherwise, the main attraction is the view of the waterfront. Everything else is clean and functional, but not memorable in any way. Rooms at Hu Yue Lakeview Hotel are spacious and comfortable. 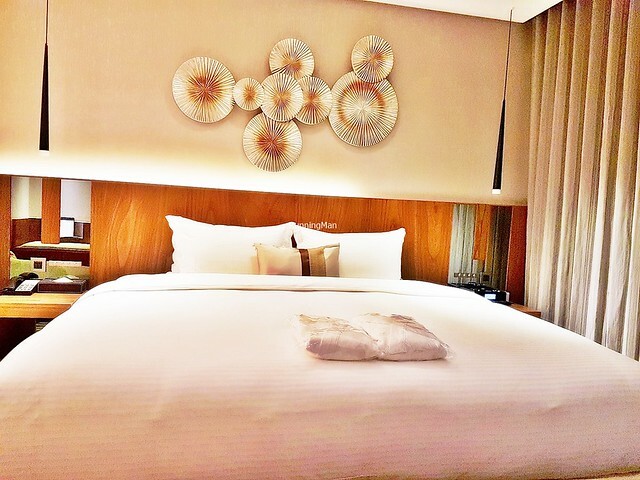 The beds are large and soft, and the bathroom is equipped with 2 different showers and a bath tub. 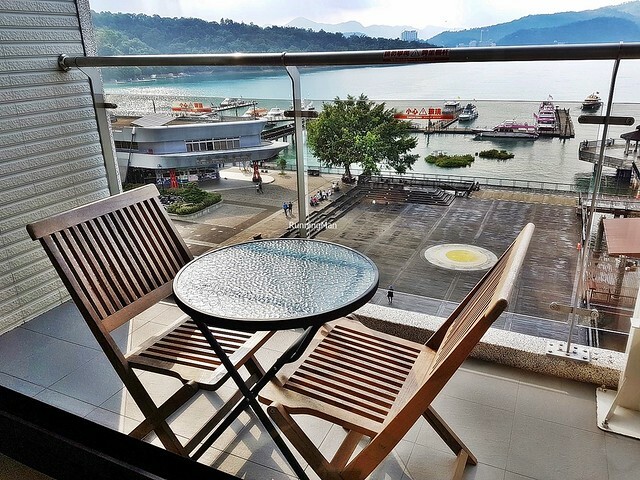 The wardrobe is large, and the attached balcony has a good view of Sun Moon Lake. 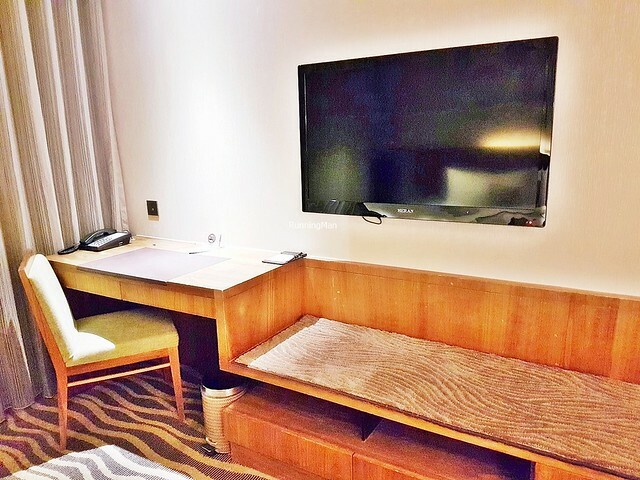 While the in-room wifi is strong, the cable television lacks variety of channels. 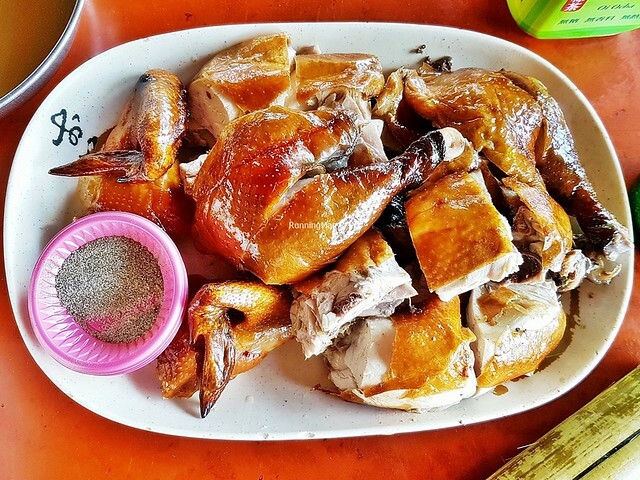 Food at Hu Yue Lakeview Hotel is simple and straightforward. 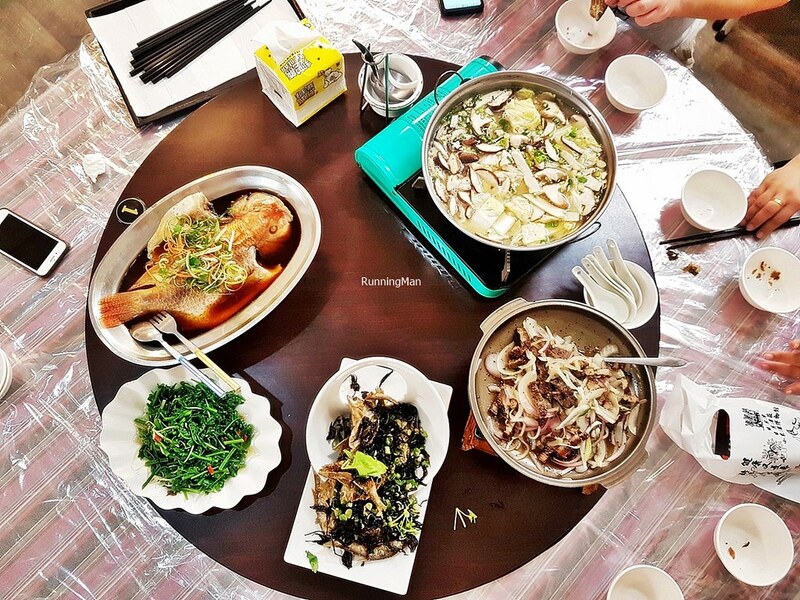 The international cuisine is limited, and average in quality, but the local food, particularly the congee, is tasty. There is no room service here. The Rooftop Restaurant has limited seating too, meant for quick eat-and-go style dining. Service at Hu Yue Lakeview Hotel is decent and functional enough. Staff converse in mostly Chinese Mandarin, limited English, and limited Hokkien. I notice staff double up as waiters in the restaurant as well. 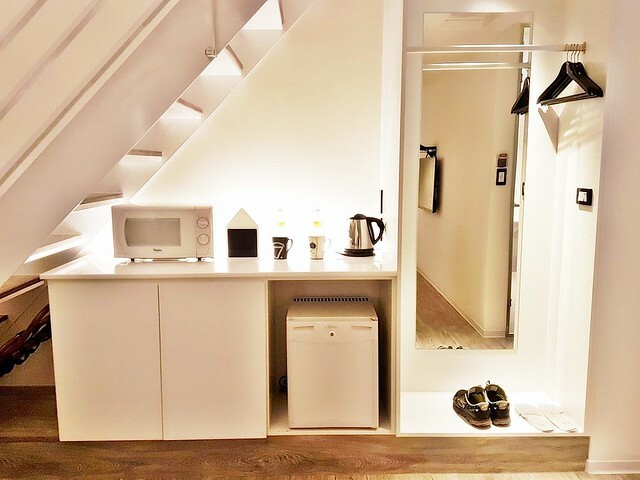 Note there is no laundry service here, so you'll need to either bring / buy sufficient clothing for your stay. 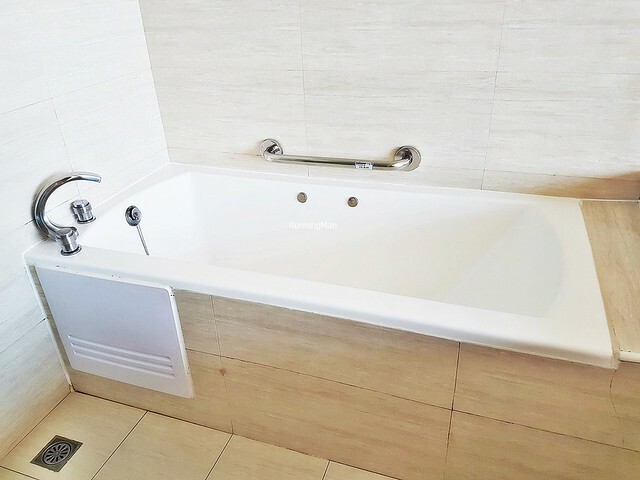 The facilities and activities at Hu Yue Lakeview Hotel are nearly non-existent. 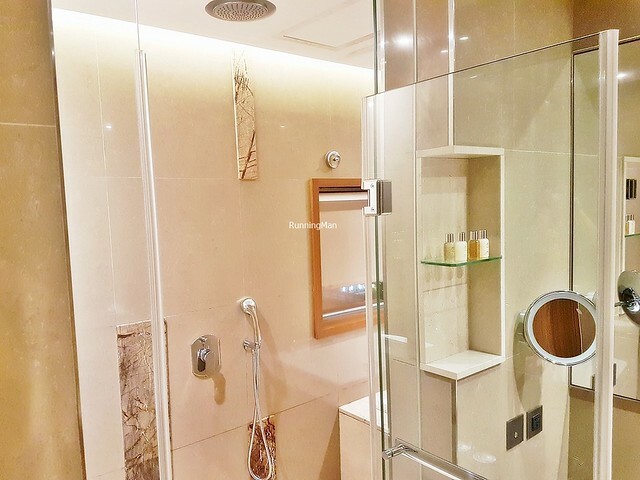 Beyond the strong and stable wifi connection, and the fantastic views of Sun Moon Lake, there is little to do within the hotel. You're better off heading out and exploring the nearby streets. Personally, I feel a 1-night stay at Hu Yue Lakeview Hotel (湖悦景観旅店) is sufficient. 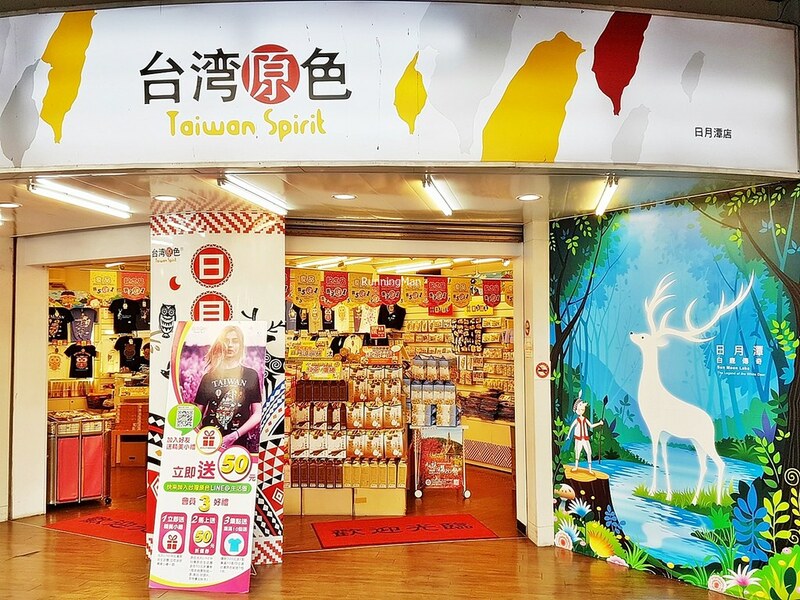 Some examples of the shops in Nantou, whether along the streets or within the shopping malls. Some photos in this post were not shot by me, and are credited to their respective sources. The second most populous city in Taiwan / Republic of China, Taichung is a major economic and cultural hub. 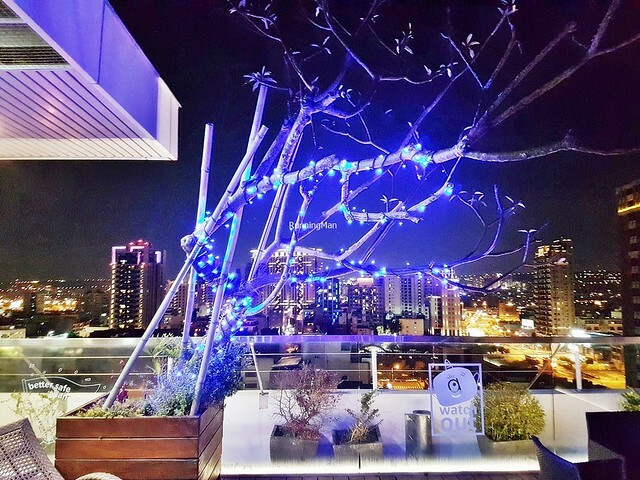 Blessed with a pleasant climate, Taichung is home to many cultural activities, shopping places, and natural sights. In particular, the night markets here are very popular. 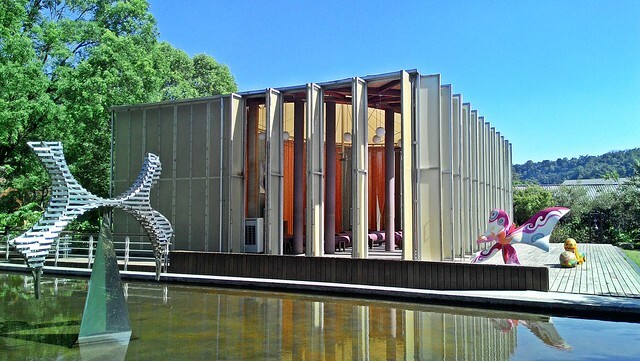 Here are the Top 5 Tourist Attractions to visit in Taichung, all of which hold important cultural or historical significance. All these are permanent locations which can be visited and viewed at any time throughout the year. The vast National Museum Of Natural Science in Taichung, Taiwan, houses 6 complexes, including the Space IMAX Theater, Science Center, Life Science Hall, Human Cultures Hall, Global Environment Hall, and Botanical Garden. With over half a million artefacts across 27 permanent and 6 temporary exhibits, spanning the fields of zoology, botany, geology, and anthropology, it is the largest recreational and educational museum in the country. Highlights include the Gallery Of Dinosaurs, the Tropical Rainforest Greenhouse, and the water-powered Armillary and Celestial Tower. 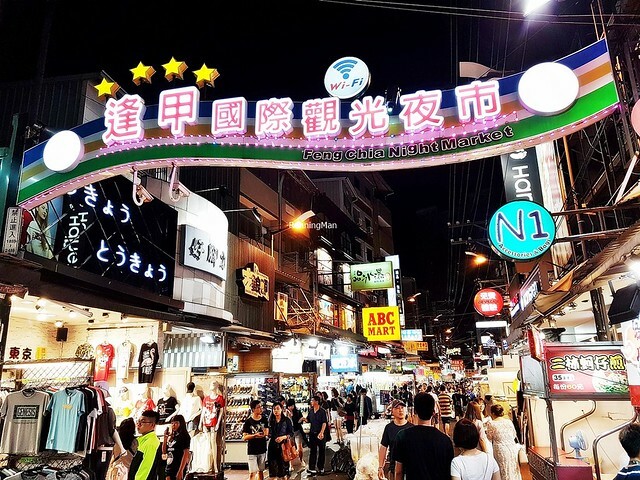 Among the biggest night markets in Taiwan, and certainly the most famed in Taichung, the Feng Chia Night Market is named after the nearby Feng Chia University. 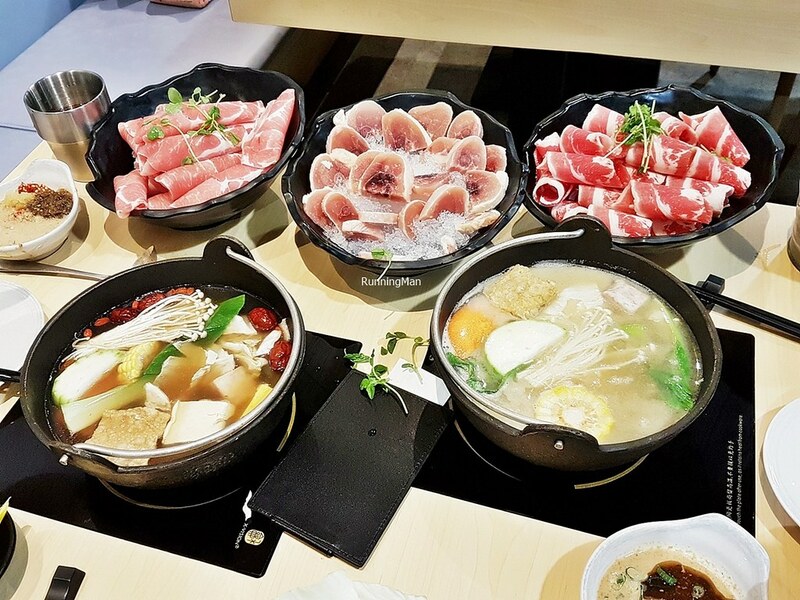 Commonly frequented by students and local Taiwanese, this ensures prices here are kept competitive, and stalls focused on providing for and serving locals. There's food, fashion, fun, and future technology, like virtual reality gaming, all found here, making it a good shopping, dining, and lifestyle travel experience. 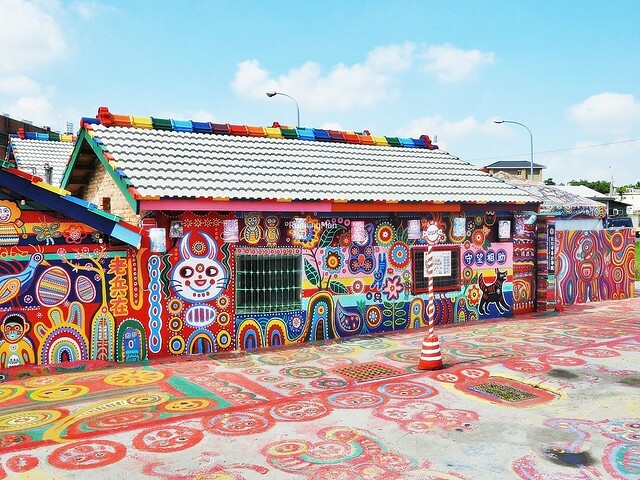 Unwilling to leave his village in Nantun District, Taichung, Taiwan, after developers began buying the land for redevelopment, former veteran soldier Huang Yung-Fu used his artistic flair to save the 11 houses in his village from demolition. Beginning with a painting of a bird, his colourful and vibrant artwork of animals, people, and scenes of local life soon covered every surface of the village. Authorities relented to petitions by university students who discovered the place, and designated the Rainbow Village a cultural area. Today, artist Huang Yung-Fu receives over a million visitors annually, gamely posing for photos amidst his artwork on the buildings. The 921 Earthquake Museum Of Taiwan in Taichung preserves the wreckage of the 7.3 earthquake that struck the country on Tuesday, 21 September 1999. 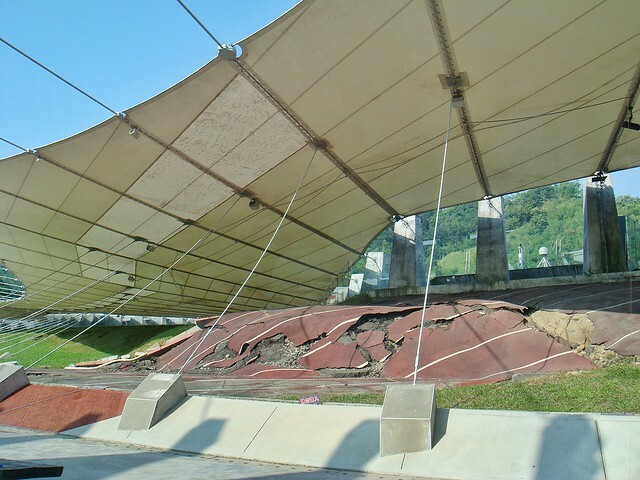 Serving as sobering reminders to the public to be prepared for such events, the site includes the Chelungpu Fault Gallery which crosses the original fault line, the Earthquake Engineering Hall which details the science of earthquakes, the Image Gallery which exhibits photos from the incident and subsequent fall-out, and the educational Disaster Prevention Hall. There's also an earthquake simulator room, which recreates the ground-shaking feeling of the actual disaster. 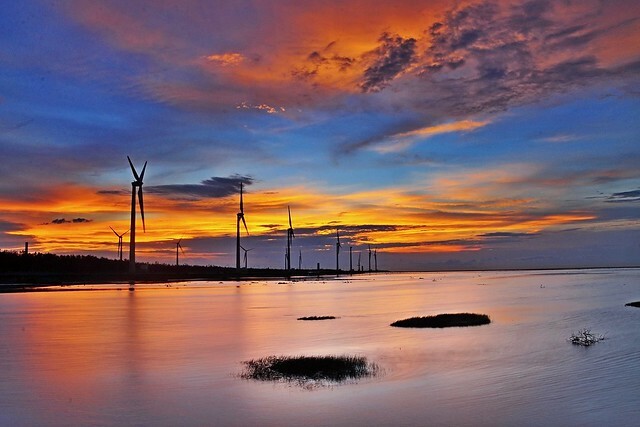 Well known in Taiwan for its breathtaking natural scenery, the Gaomei Wetlands along the coast of Taichung is home to many native wildlife, as well as several large wind turbines which provide electric power to the city. The windy area offers fantastic views of sunset, with the sun dipping below the horizon of blue skies and fluffy white clouds, while the mechanical silhouettes of the wind turbines lend a surreal contrast. The wooden broadwalk offers an easy stroll, but for a greater challenge, head down into the soft muddy soil with proper footwear. 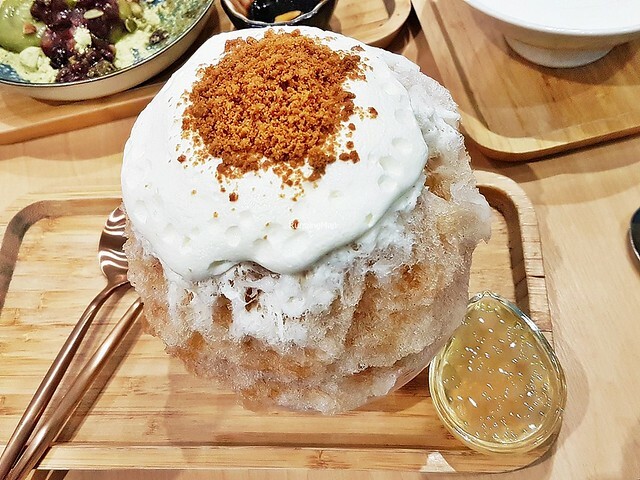 Taichung Street Food is part of the overall cuisine in Taiwan, bringing together dishes that are a mish mash of influences from South Chinese, native Taiwanese aboriginals, Japanese, and Western culture. 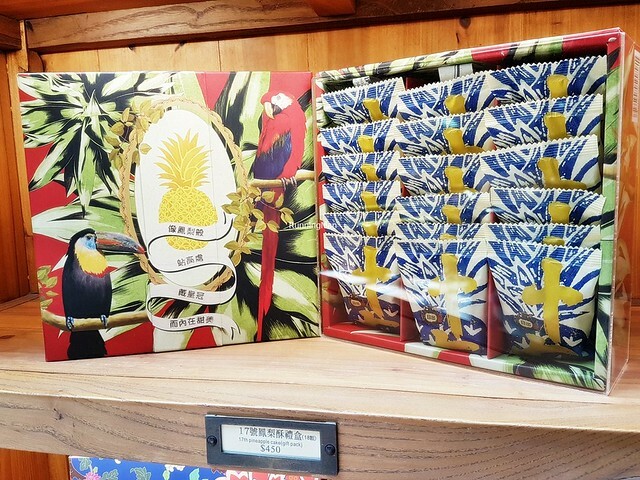 There is a substantial snacking culture here, and as the city modernises, it's increasingly common to find more Western style options, though Taiwanese and Japanese cuisines are still the most prevalent. Spent about NTD $2720 / SGD $130 per person. 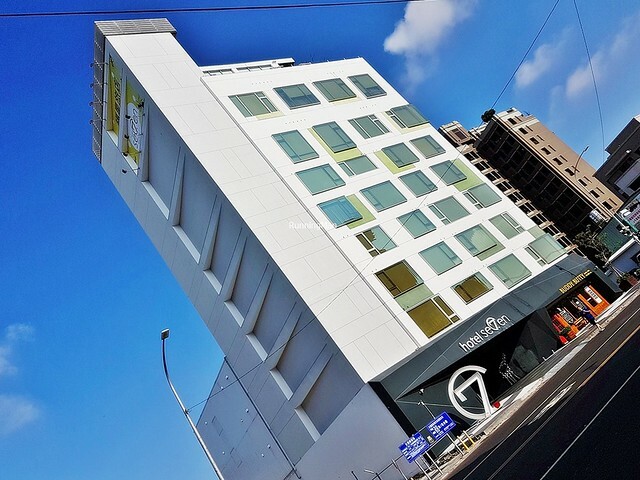 Located about 25 minutes drive away from the Taichung International Airport / Ching Chuan Kang Airport in Taichung, Hotel 7 Feng Jia (Hotel 7 逢甲) is a modern boutique hotel with playful, whimsical, attractive decor, but more importantly, is a centrally located family-friendly hotel. 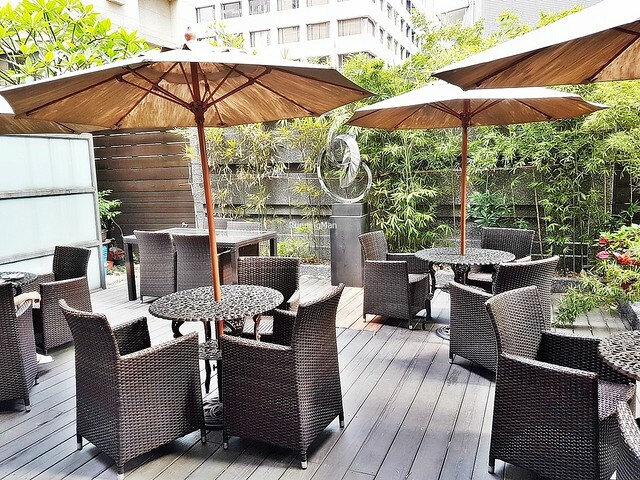 Targeted at leisure travellers, there is a distinct lack of business facilities at Hotel 7 Feng Jia, but its convenient location is a plus point. 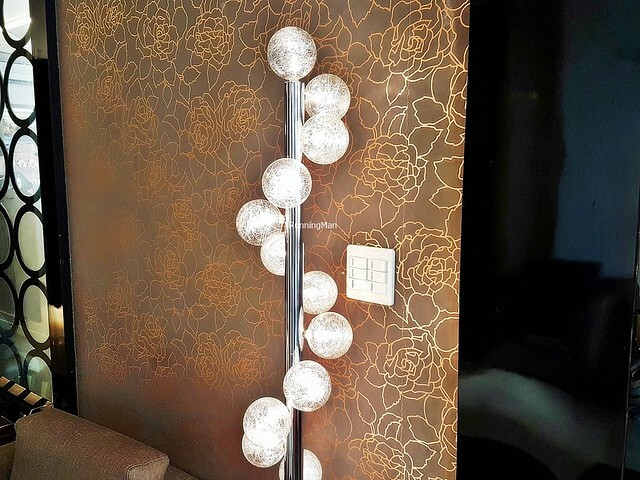 Ambience at Hotel 7 Feng Jia exudes a welcoming yet playful feel. Each level is styled differently, the central artwork piece on each floor is visible from the elevator (which itself has an embedded television in the floor). Modern, creative vibes here. 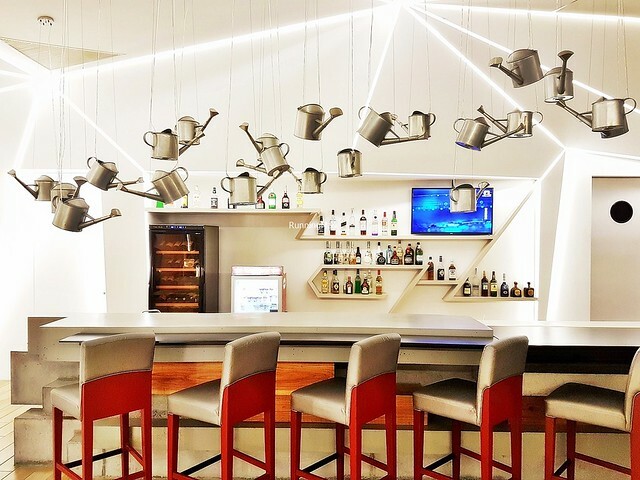 The seating areas are thoughtfully designed, the colourful and eclectic furnishing is comfortable, while the sharp intersecting lines of light create visual appeal. The small garden is also good for relaxing on cool days. Rooms at Hotel 7 Feng Jia are spacious. 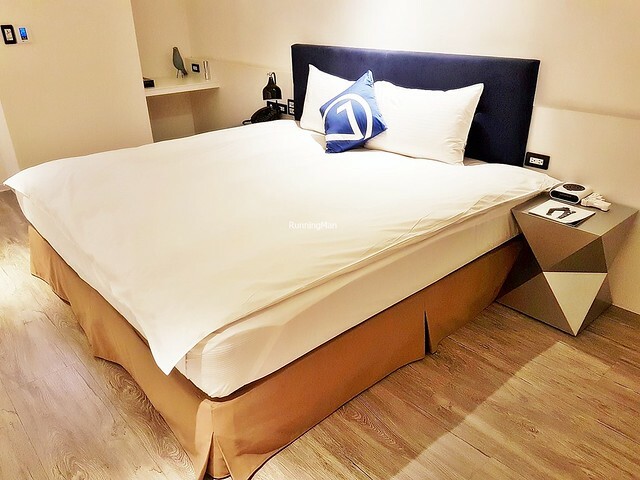 I got the Deluxe Loft Room, which has a comfortable and soft queen size bed on the upper level of the loft, while a large living room on the lower level allows for receiving guests. 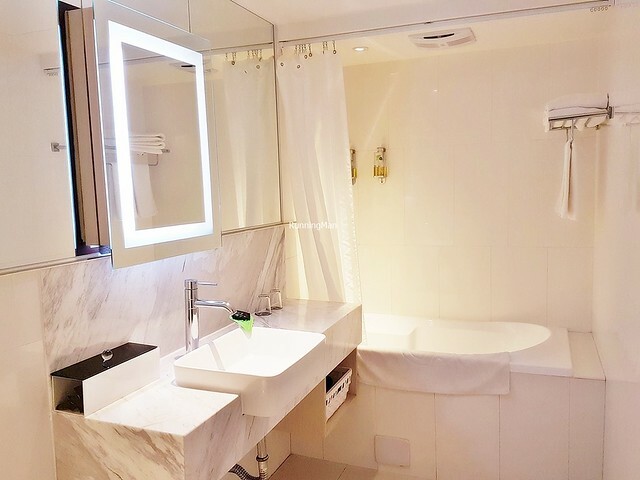 The bathroom is medium-sized, clean, and well stocked with amenities. However, the small pantry is just decent, and I wish they offered international multi-plug adapters in the room. The wardrobe is also fairly small. 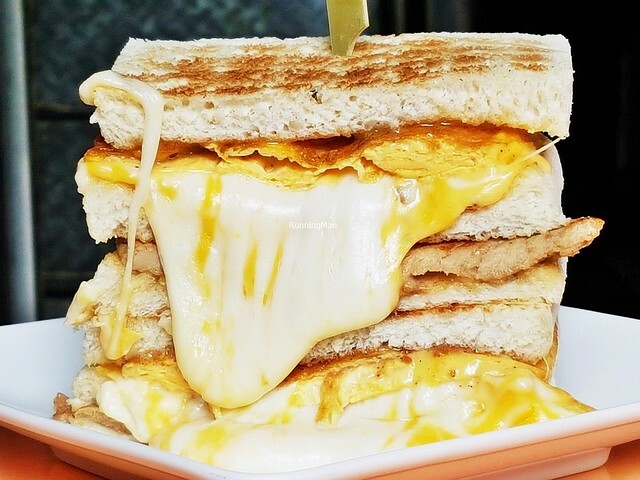 Food at Hotel 7 Feng Jia is provided by the Buddy Butty Restaurant, the hotel's in-house all day dining restaurant, which offers mostly international and British English cuisine. That said, quality is an issue, their dishes are below average in taste and execution, and not very appealing. Range of dishes is limited too. 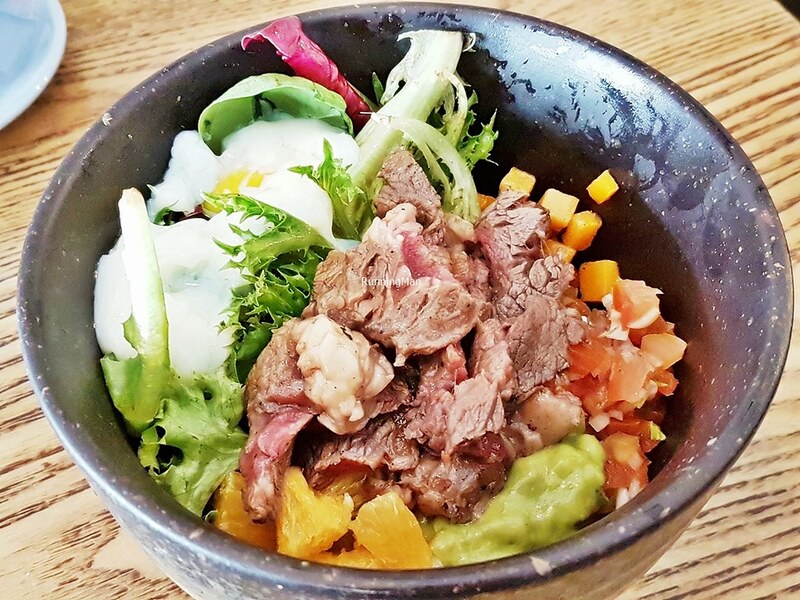 The local dishes available tend to fare slightly better, but you're better off eating elsewhere. Service at Hotel 7 Feng Jia is good, but not memorable. Staff are friendly, and speak functional English, greeting guests politely. They're able to fulfill requests competently, and the housekeeping is decent enough. No complains about the standards here, it's alright, but also nothing to shout about. 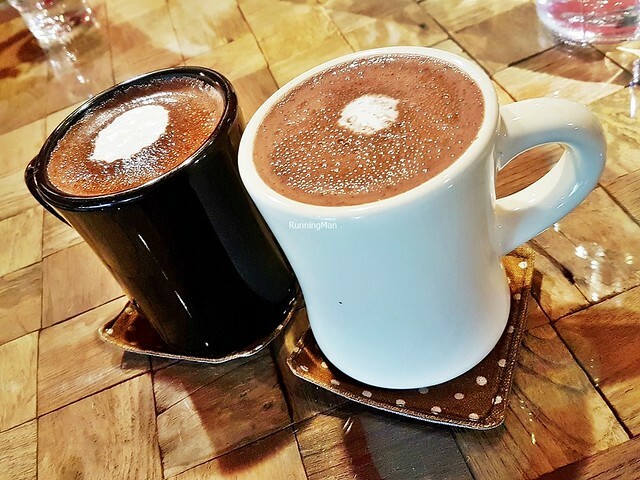 Minor quibbles though; the bar at the garden area isn't operated, and some of the porcelain cups in the restaurant are chipped, but still stacked openly. 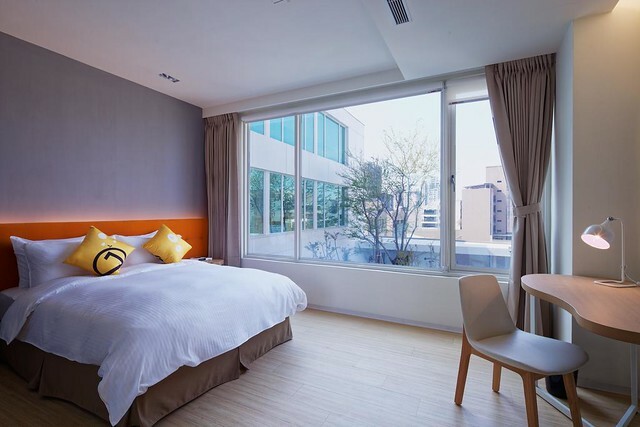 The facilities and activities at Hotel 7 Feng Jia are targetted for leisure travellers and families. 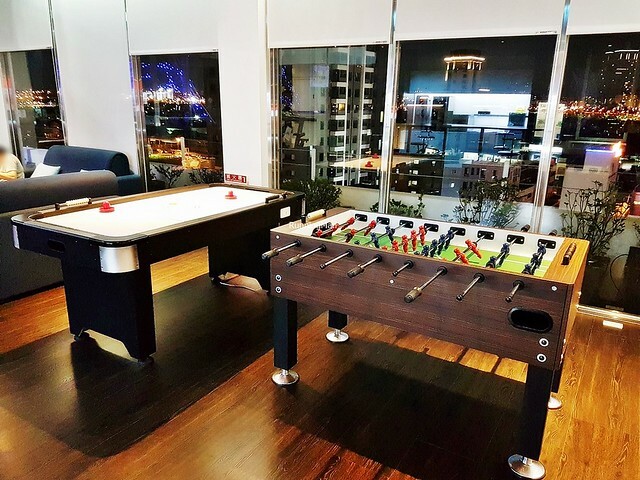 The rooftop offers a casual lounge, sun deck, and game room with a foosball table and air hockey table. 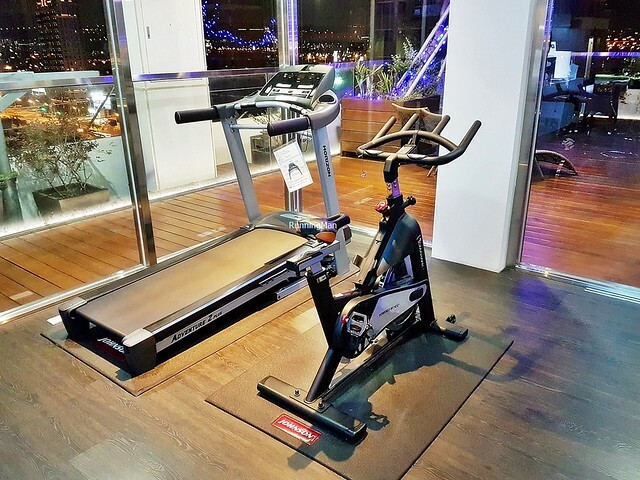 The gymnasium here consists of only 2 machines; an exercise bike and a treadmill. The balcony has a good view of the city, I personally feel it's nicer at night. Another plus; the Feng Chia Night Market is a short 5 minutes walk away. 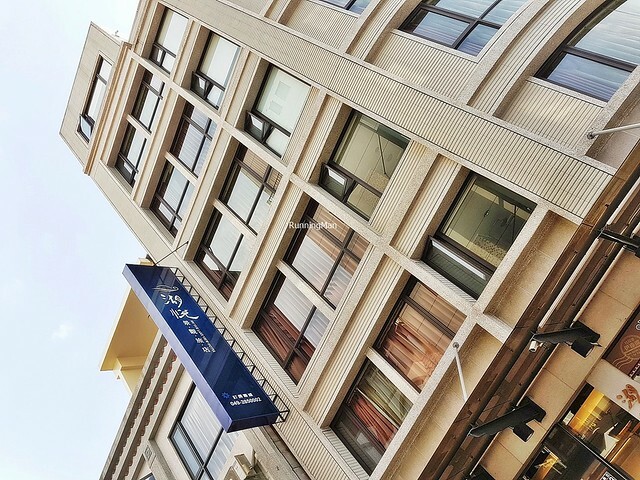 I would stay at Hotel 7 Feng Jia (Hotel 7 逢甲) again.